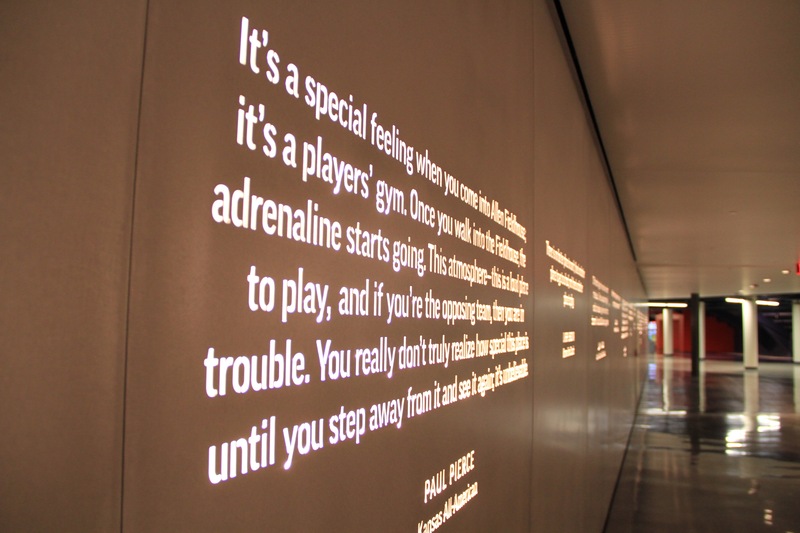 The Rules Gallery offers a 100+ foot wall with quotes from KU players and coaches--eighteen quotes to be exact. When you visit us in-person, see if you can figure out which two quotes are from non-Jayhawks. The words are cut into angel hair aluminum and back-lit to create a breathtaking effect. 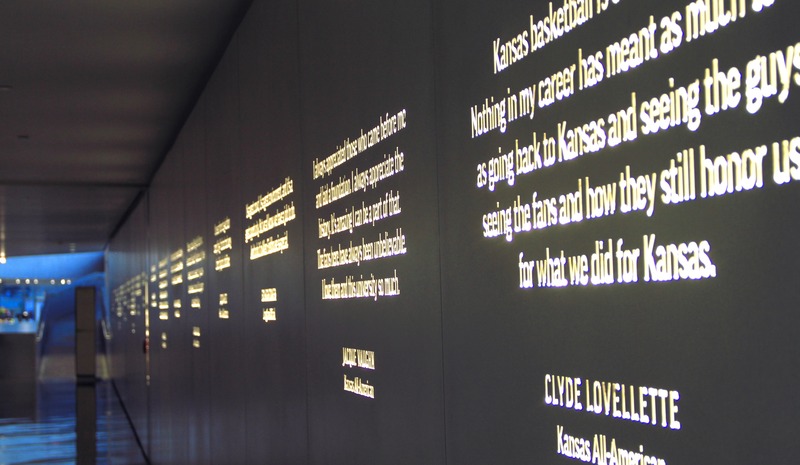 No KU fan can experience the Wall of Quotes without at least a few "goosebump" moments.